Editor’s Note: #ThrowbackThursdays are album reviews of old Lubbock and Panhandle albums that, for one reason or another, need to further dissected. Maybe they’re hidden gems, overlooked mixed efforts, or shadowed by better works. Whatever the case, we’re (re)examining them every Thursday. This week, we’re tackling Thrift Store Cowboys’ third album, Lay Low While Crawling or Creeping. Listen to it on Spotify below. It’s not that Thrift Store Cowboys weren’t great on their first two albums– 2001’s Nowhere With You and 2004’s The Great American Desert–but, without any doubt or hesitation, 2006’s Lay Low While Crawling or Creeping is the moment of arrival for the band. It’s the moment they went from a band from Lubbock, Texas to the band from Lubbock, Texas. They certainly hinted at this abstract alt-country band on their previous albums. But where those albums often searched through the worlds of Whiskeytown, Old 97’s, and Lucero with mixed successes, Lay Low was the first moments they quit exploring conquered territory and sought to find something all their own. It was a clean, clear-cut direction into the wilderness. 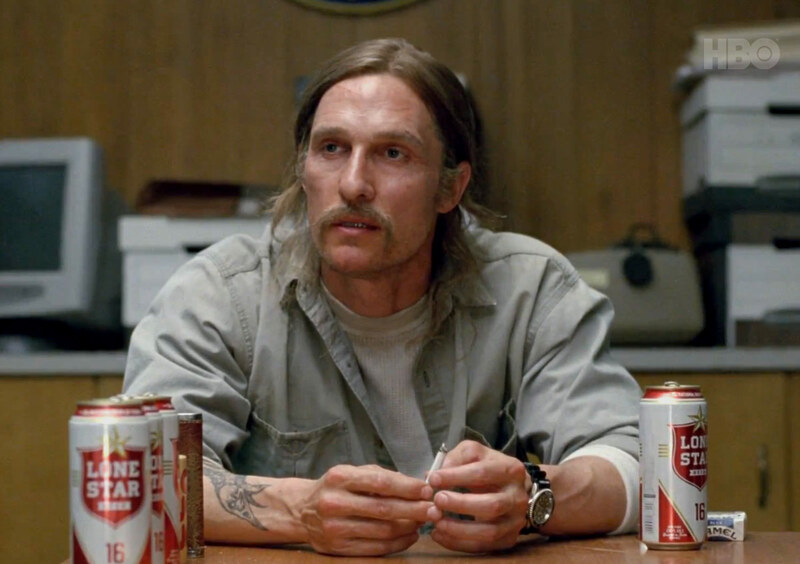 It’s the band that Rust Cohle would have been a fan of with their streak of cosmic takes. A lot of Lay Low plays like lucid dreams–and to paraphrase Cohle, like a lot of dreams, Thrift Store Cowboys show there’s often a monster at the end. Often, I’ve heard the following arguments when it comes to Thrift Store Cowboys: [Insert Name Here] is the true driving force behind Thrift Store Cowboys. I’ve heard every single TSC name called the driving voice for the band. They’re all right. And they’re all wrong. Lead vocalist and guitarist Daniel Fluitt was focused and driven towards new highs. His storytelling expanded from the depths of loathsome, sad bastardness towards a storytelling style that was often based on fiction and others’ experiences, yet was as genuine and pure as ever. More so than previous attempts, Fluitt morphed into a cast of broken and unfortunate characters that were intriguing, captivating, and who were fractured in ways we all knew too well. If he had just dipped into this on Nowhere with You and The Great American Desert, he’d be diving head first on the southern textures of Lay Low. His lyrics often become less straightforward or transparent. They’re nearly as eccentric as the Thrift Store sound of the time. It’s not that they’re difficult to understand, but your full attention is paramount. Drummer Kris Killingsworth solidified the drums for Thrift Store around this time. His often subtle playing style was the foundation Thrift Store was searching for all along. It was the necessary building block that made everything else seem to fit into place. As a drummer, his percussion technique and ear for music is the Lubbock sound in the modern era. It’s the whole playing less is more philosophy that Killingsworth would perfect. On Lay Low opener, “Beneath the Shoes,” his drumming is essentially the trot of the spooked horse the rider was once riding in the downpour. With bassist Clint Miller, it transitions into that drowning downpour that ultimately sweeps away both the rider and his loyal companion. On “In the Clear,” Killingsworth’s pattern drives the song into a mayhem. Fluitt’s vocals are impassioned and as intense as possible. It’s the bust of energy on Lay Low–three minutes of being driven near the line of insanity. It’s on Lay Low, where fiddler Amanda Shires becomes vocalist Amanda Shires. In a lot of ways, it’s her breakout party. Her fiddle often become dominant instrument. It’s sharp and pierces through the fourth wall. She contributes two lead vocalist and Shires-penned songs here with “Understudy” and “Sidewalk Song.” Naturally, you’d think these two specifically would be the primary fiddle-highlighted arrangements. But while they certainly highlight her fiddle with solos, it’s not where her fiddle shines brightest. Songs such as “Wasted Void,” have an airy Vaudevillian characteristic to them. Her, her playing doesn’t blend into the background, but rather, it floats like a ghost above the band. It fills in the space above. As a songwriter, you hear the hints of those southern gothic murder ballads that’d she’d go on and write later in her solo career. Both “Understudy” and “Sidewalk Song” have this cinematic characteristic to them–which you could say for all of Lay Low–but here specifically, the compositions soar into the big sky of the Panhandle. There’s these darkened tones and shadows that Shires takes you with her bird’s-eye view. I once described guitarist Colt Miller as a Swiss Army Knife Musician. He can virtually play any instrument within arms’ length. Give him a while and he’ll have it mastered. But it’s not just being able to play that makes Miller a force for Thrift Store. It’s the creative and nontraditional sounds, tones, textures, timbre, riffs, and melodies that set him a part from any other Panhandle guitarist. Sure, there’s more technical musicians out there. There’s better players and pickers. But no one has the fortitude and patience to grab these specific sounds like Miller. The wherewithal and restraint to wait for these exact moments. For Lay Low, no one has their fingerprints in more places than Miller. Every song, has these subtle moments that are just as important and vital to the overall impression of the song as the pronounced might. Years later, you hear the complexity within these songs. Sonically, there’s not been a Lubbock record that has had the vividness and vibrance that Lay Low has. Sure, there’s plenty of sepia stained songs that are darkened and dusty. But even browns and tans have their shades. One of the most important reasons for this wall of sound that comes from Lay Low is the actual recording of the album. For the first time, Thrift Store was able to record in a studio known for bringing out the best in Southwestern bands looking for those eerie textures and gothic vibes. This, along with 2010’s Light Fighter, were recorded with producer Craig Schumacher at his studio WaveLab Studios in Tucson, Ariz.
Schumacher wasn’t just an encouraging voice to go off into the strange or weird, but he had the experience to know how to do it properly. That’s why you never hear Fluitt and company saying they wish this or that was done differently on Lay Low. It’s one thing to write and create a masterpiece. It’s another to actually get it documented in the best way possible. You’d see the influence of this album–and Thrift Store in general–transcend the Panhandle. While artists like Estelline, Burn the Wagon, One Wolf, The Diamond Center, Rattlesnake Milk, Charlie Shafter, and Brandon Adams would all go on and pick out specifics that’d influence them on future albums, artists like Whisky Folk Ramblers, Devotchka, Rodney Parker & The 50 Peso Reward, The Lusitania, and Dirty River Boys would all cite Thrift Store Cowboys as a significant force on their songwriting and overall sound.